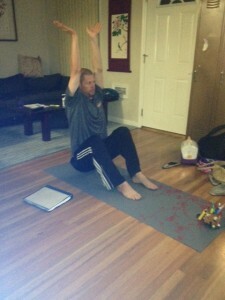 CaldwellNutritionCoaching.com » Welcome To Caldwell Nutrition Coaching-What The Heck Is ELDOA? Welcome To Caldwell Nutrition Coaching-What The Heck Is ELDOA? Welcome to my site people. After taking about a year and a half off from seeing clients and focusing on other activities I AM BACK! Take a few minutes to surf around my site. I will be updating my blog weekly and seeing clients again so if you are interested in my Caldwell Nutrition Coaching(CNC) program please click here. If you have any questions please let me know. To learn more about my story please click here. What The Heck Is An ELDOA? As a health practitioner when I come across something new to me I like to try it out for a period of time to see how it benefits me. In 1995 I hurt my back pitching while playing baseball at Saddleback college. Up until that point I had never been hurt in my life. All of the sudden I have chronic back pain and I learned that I had scoliosis and disc desiccation(L4-L5, L5-S1) at the age of 21. As an athlete I got a physical every year and you mean to tell me not one doctor noticed this was happening? I did the usual physical therapy where I did a bunch of abdominal exercises and some machines that were supposed to help heal and strengthen my back. Shortly after that I was told by a doctor to never surf again or lift weights as that was going to make matters worse. So I gave up surfing and was devastated. After about 6 months I couldn’t take it anymore and said well if surfing can possibly make by back worse I am willing to take the risk. Fast forward years later and I came across the CHEK Institute while I was going through a hard time in my life. I read a couple of Paul Chek’s articles and things started making sense to me in regards to exercise and nutrition. I learned about the primal pattern movements and took his HLC 1 and HLC 2 class. HLC 1 is where I met my friend JP Sears. JP really opened my eyes on how to train my body properly for my unique needs. The assessments he did and his guidance have been priceless. Through his teaching I have kept my body very strong even though I have low back issues and scoliosis. I have been stable and very functional even though that doctor said lifting weights and surfing would make things worse. 20 years later I am still teaching physical education, surfing my brains out and living an active lifestyle. As I get older I have noticed I don’t recover as fast and I have some aches and pains. About 18 months ago I was surfing in Huntington Beach and I was going right(backside) and I came down the wave bottom turned then went to cut back and it felt like someone had shot me in my back and I went down in pain. When I finally got to shore I could barely walk, because my low back hurt so bad. I know this feeling as I said before this happened to me while playing baseball. During that time I had gotten lazy with my exercise program I was doing to keep my back and body strong. When I workout or surf I was not warming up at all or if I did it was not done properly so it was no surprise this happened. 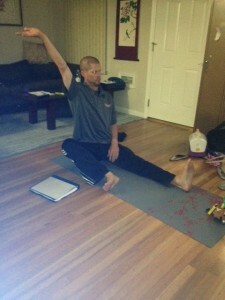 So as I laid on the couch at my house in pain I knew I needed to take my healing to the next level and I remembered one of my favorite practitioners Josh Rubin over the last couple of years had been talking about ELDOA and Myofascial stretching on his blog so I decided to check it out hoping that could help my issues. The more I read about ELDOA the more I knew I had to learn how to do the stretches. But there was one problem. These stretches look crazy and you can’t just learn them on your own by watching a video or reading a book. So for a short period I just tried to imitate the pictures and videos I saw online but I had no idea if I was doing them right. So I searched for practitioners who were teaching ELDOA in Orange County and I discovered two guys Wayne Daniels and Dr. Jason Amstutz were holding weekly classes. I took a couple of classes with Wayne and it was awesome. I could feel my body healing, opening up, getting stronger and my recovery after exercise had improved. I just had an overall feeling of well being during the class and after. I then found out Dr. Jason Amstutz was teaching a weekly class closer to my house so I went to take his class. The funny thing is I met Dr. Jason a couple years back at a small private gym in Irvine so it was great to re-connect as I know he has a huge passion for people to become pain free. In that class I also met Chris Watson who is one smart dude and amazing practitioner. 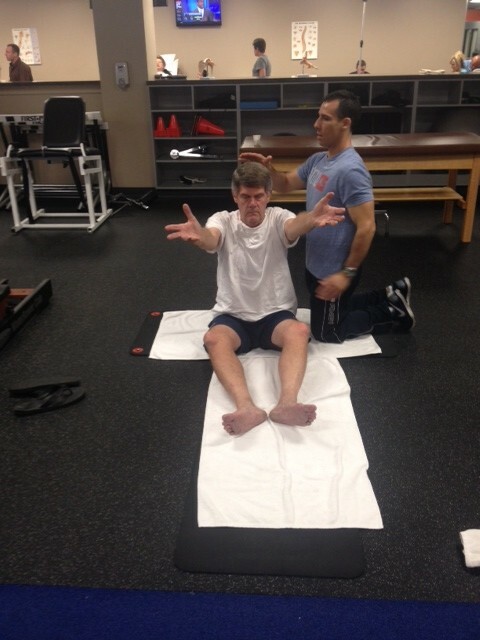 After taking four group ELDOA/Myofascial stretching classes with Dr. Jason and Chris I decided to get a couple one on one sessions with Chris Watson so he could develop a ELDOA/Myofascial stretching program for my unique needs. My dad who is 71 years old also started coming to the group class and just had a one on one sessions with Chris and after one session you could visibly see his body start to open up and his posture improved dramatically. It was amazing. You can see the picture below of my dad performing one of the postures with Chris Watson. I have been practicing my ELDOA’s daily now for about 3 months and my back and body are improving. I like to do my ELDOAs after I surf, paddleboard or after a workout to put my body back in order so to speak. Within a few minutes I can go from aches and pains from exercising to almost no pain by finishing with my specific ELDOAs and Myofascial stretches. If you want to learn more check out the links below. The following practitioners are amazing!